Located in sunny Palm Springs, CA, this home is a great getaway. A retired builder and developer, the client was involved in all aspects of the project. 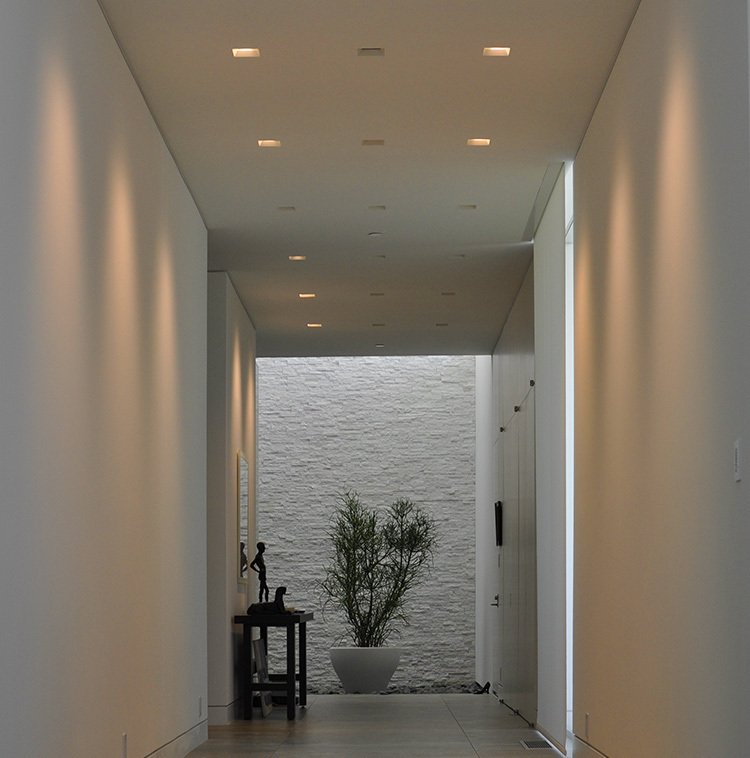 He knew of competing lighting control options and chose Lutron because of value, product selection and integration capabilities. 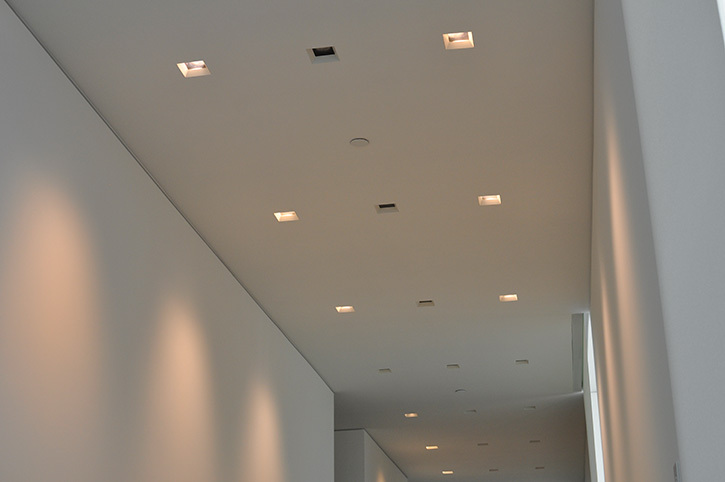 As the project progressed, additional lighting and shading needs were met by Lutron’s wide array of new construction and retrofit products. Lutron QS ECO, Lutron QS Shades, Lutron ceiling tensioned rollers and Lutron battery powered shades were all implemented in this project. The ECO system, fixture layout and lighting fixture specification was designed by AUDIOVISIONS’ own in-house lighting design team. 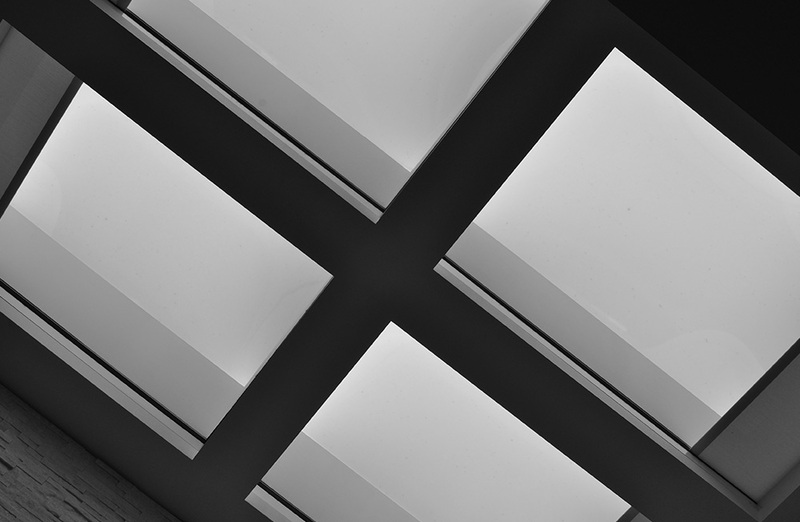 We are NCQLP (National Council on Qualifications for the Lighting Professions) certified and also have over 30 years of lighting design experience. 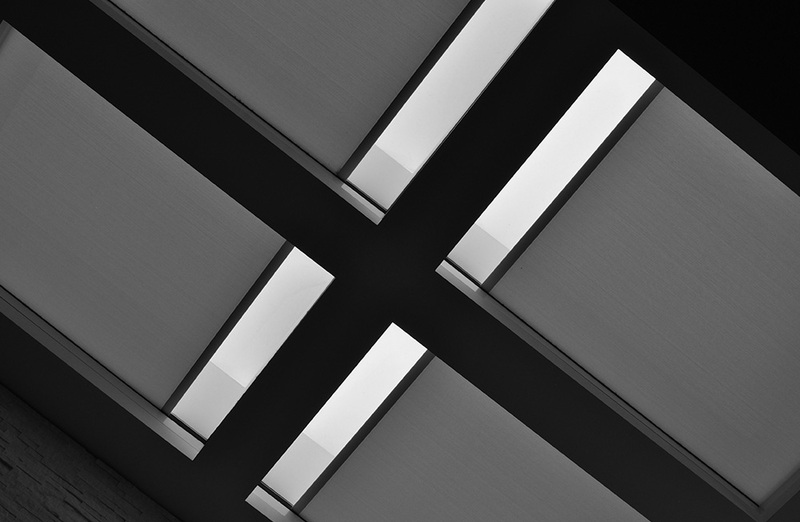 Our lighting design team really appreciates the flexibility of the revolutionary ECO system and how it can enhance the lighting designs and our clients lives. 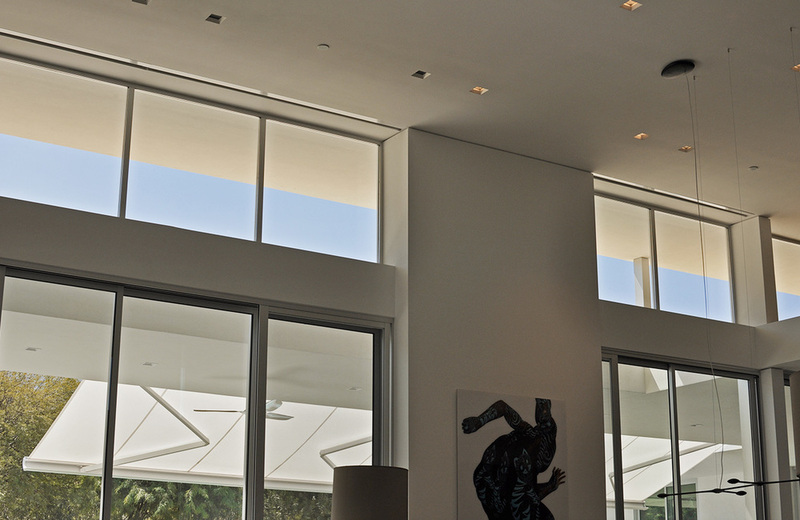 In Palm Springs, the sun’s rays create heat and glare that can damage artwork and furnishings. 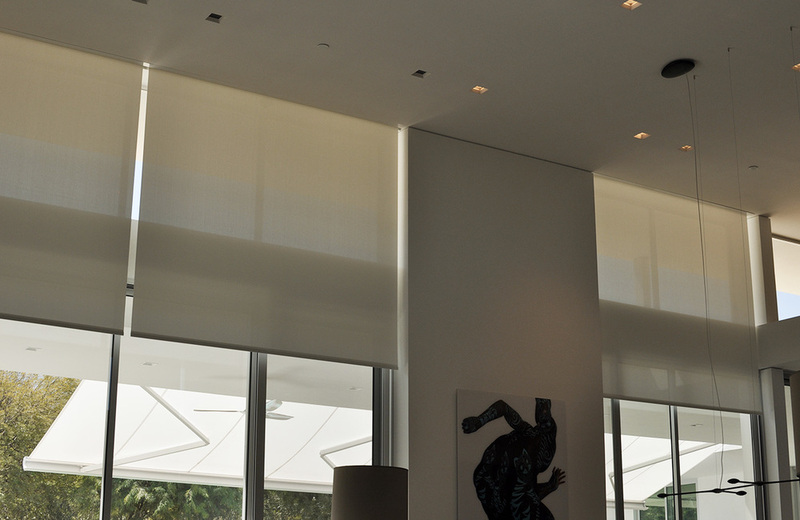 The Lutron shades protect the art work plus provide privacy when needed. We found a creative solution to cover a very large ceiling window. 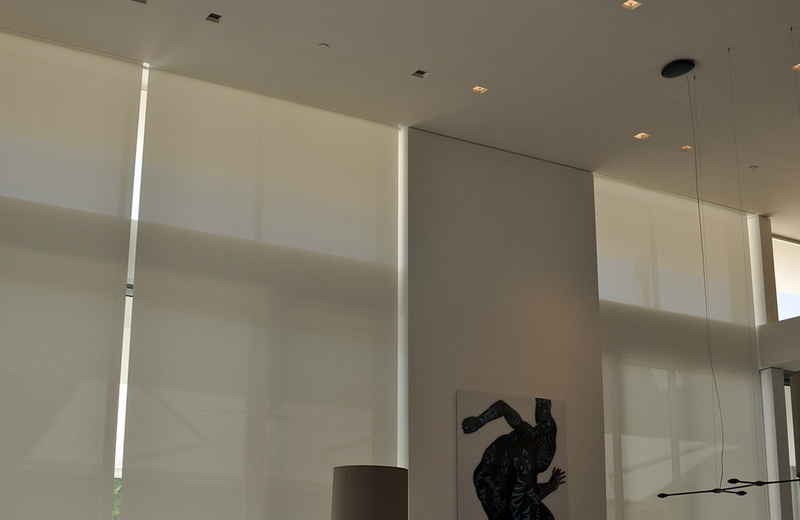 We provided 2 large Lutron tensioned ceiling shades. With excellent collaboration with the builder, the installation went well and the client was thrilled with the results. After the prewire was completed and drywall was up, the client decided to add a few more shades. 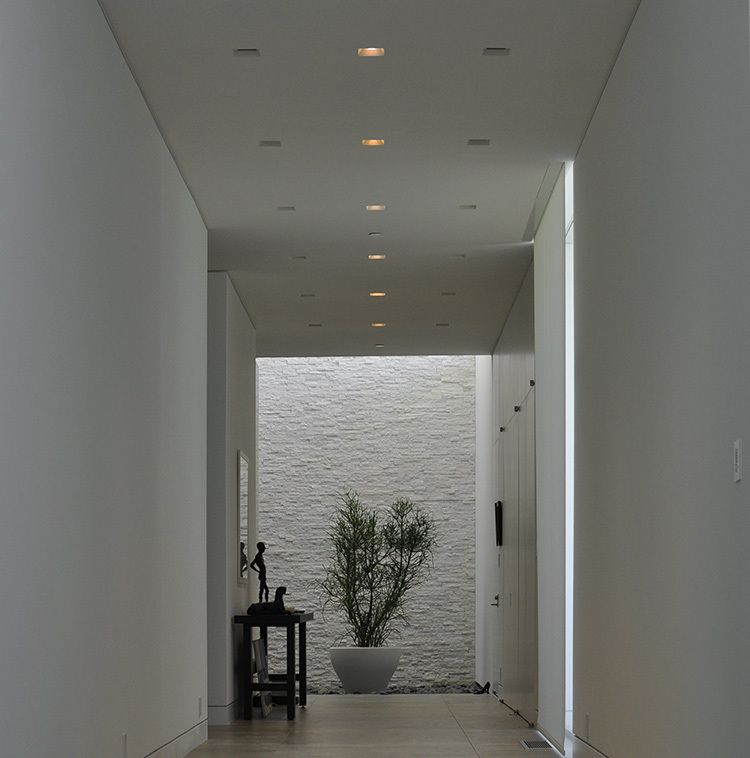 This was easily accomplished by adding Lutron battery powered shades. Note the two different types of shades in the photo. 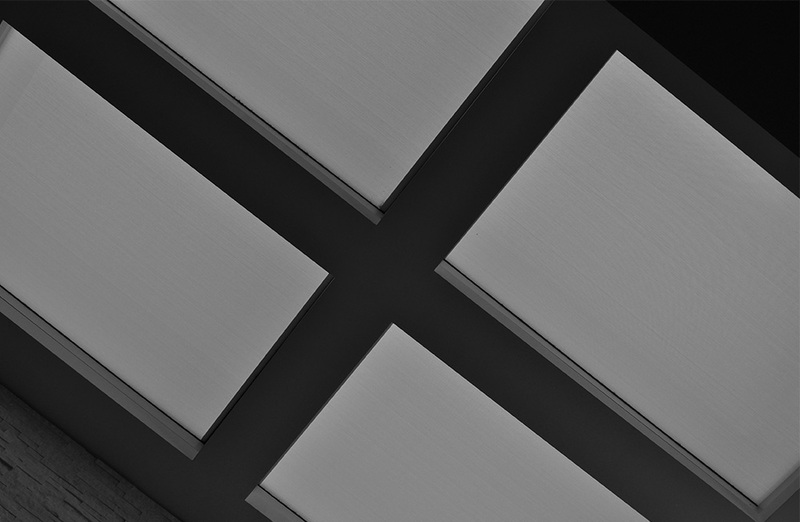 A custom valance is being built to cover the shades and mask the two different shade types (wired & wireless). The client loves to use his iPad. 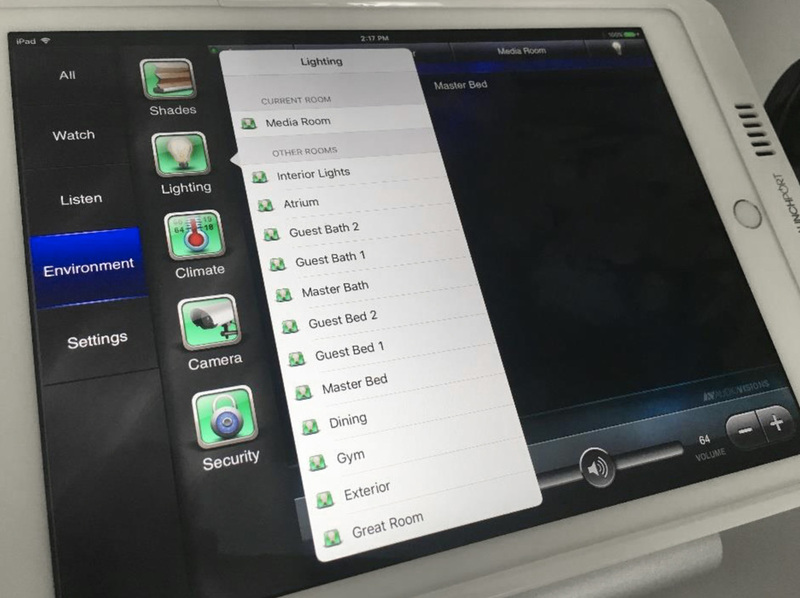 The Lutron app allows the client to easily control his lights and make changes to scenes as desired without having to call the integrator. 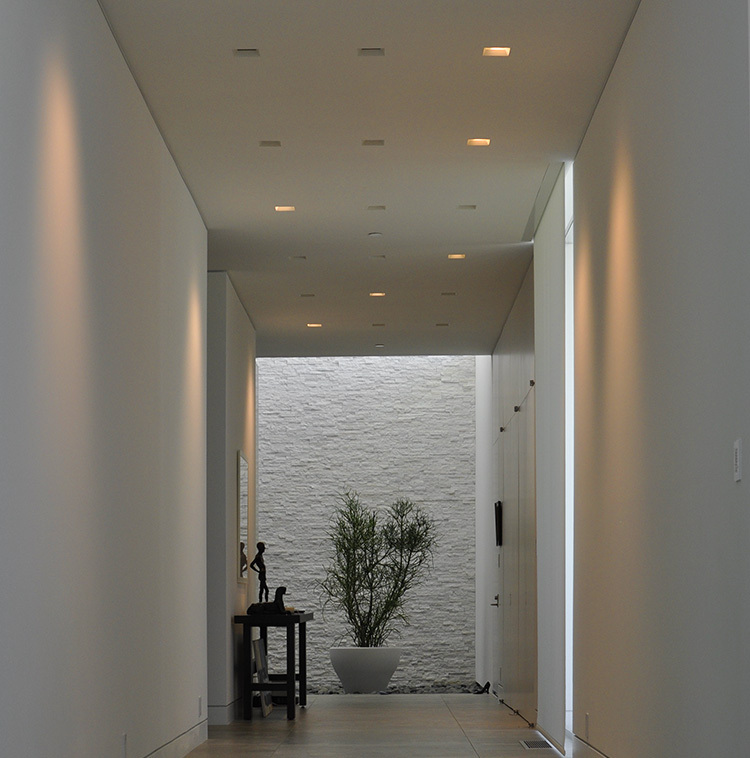 Additionally, the Lutron system was seamlessly integrated with AUDIOVISIONS custom Savant User Interface pictured below. 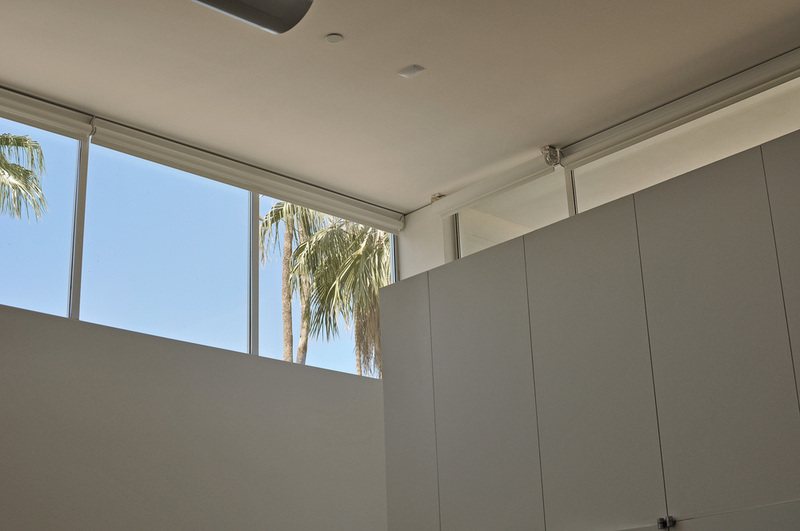 With all the sunshine in Palm Springs, daylight harvesting is an easy task with Lutron. Raising the shades on winter mornings keeps the house warm while lowering the shades in the summer keeps the house cool and protected from the intense sun. The ECO system, fixture layout and lighting fixture specification was designed by AUDIOVISIONS’ own lighting design team. 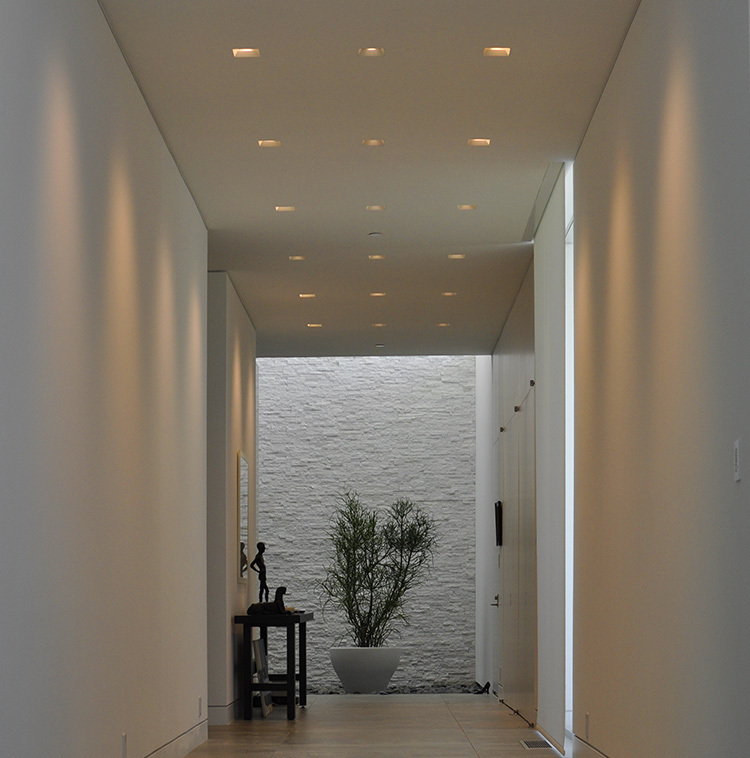 Our lighting designer is NCQLP certified and an electrician for over 30 years. He really appreciates the flexibility of the ECO system and how it can enhance his lighting designs. A separate PDF of the lighting design and fixture schedule is attached to the submission. “The AUDIOVISIONS’ team was talented, responsive and met all of my needs..” – Homeowner.